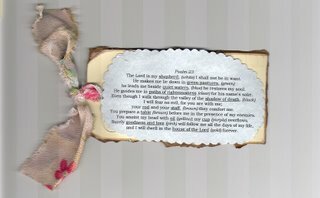 For some time now…I’ve wanted to purchase a Psalm 23 Bracelet. Don’t remember where I first saw one…but it stuck in my head. Now when facing a personal crisis…I need the reminder of God’s word and His care for me more than ever. An internet search showed a couple of possibilities for this bracelet…but they didn’t seem quite right. Instead I reached out to someone from Kindred Community Church. Gloria Bass…who among other things designs jewelry. I’ve regularly admired her jewelry…only to learn that it was something that she had designed and made herself. Sometimes…even that very same morning. 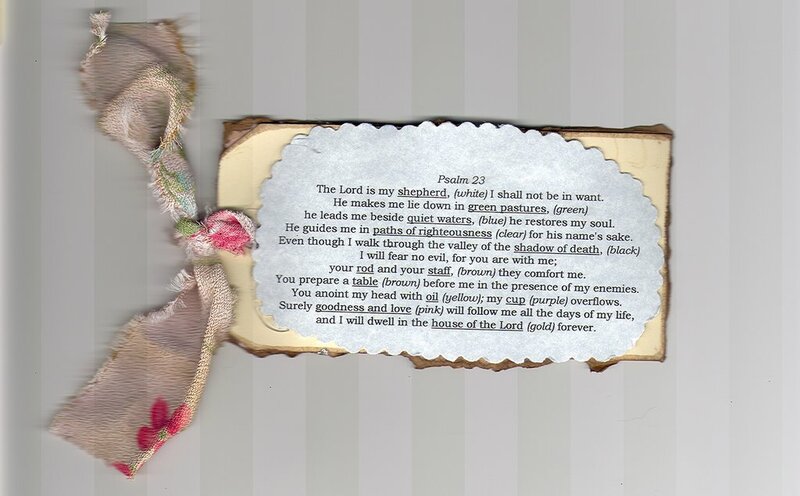 So as my need to desperately depend on God increased exponentially I reached out to Gloria and asked if she had or could create for me a “Psalm 23 Bracelet”. Shortly I received an e-mail back from Gloria saying that she’d had requests in the past…but had not yet made one up. That she would get right on it and let me know what she had come up with. A day later…Gloria e-mailed me a picture of her newly designed bracelet. It was perfect…just what I needed to help encourage and build up my faith. Today at church…I was most excited to pick up my new bracelet. Created in love…and designed per my request. What a lovely piece it is. One of the things that makes Gloria’s work even more special is that she uses vintage beads as part of her design. Yes…I could have purchased a bracelet on the internet…but it would have paled in comparison to the treasure that now graces my wrist. I am most gratefully to Gloria for taking on the challenge to create this for me…and being so quick in designing it and responding to my request. It’s is positively lovely. Thank you Gloria! 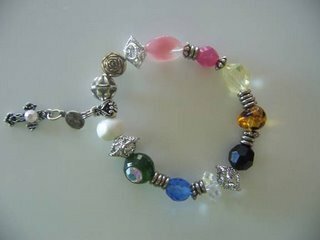 Now if you would like to order a handmade Psalm 23 Bracelet…please reach out to Gloria Bass. You can do so via her website site at Vintage Glo (http://vintageglo.com/). If you have a love for vintage jewelry…look no further. Gloria at Vintage Glo…will make you a piece that will soon become a favorite treasure. This last week was trying one…one that tried my faith. I’d like to report back to you that I was strong and never wavered in my faith…but I’m addicted to the truth. So with that being said…I’ll give you the straight scoop. Last week…lived up to the analogy of being a roller coaster. Up one day and down the next…or sometimes within a matter of minutes. My current employer is being bought out by another company…and my current job is going away. Not a bad thing all in all…but some stressful times have ensued as a result. I was most fortunate to have interviewed for a new position. I’d say the two interviews went well. But now…I’m in a holding pattern…and awaiting news. So far things look promising…but I’ve not yet been given that final nod of approval. I’m waiting…as a deadline fast approaches. The up times on the roller coaster…when my faith has been strong…I’ve written pieces about faith and trusting God and knowing that he can and will bring me through this. In my downtimes…I’m stressing and focusing on myself…and asking why is this taking so long. In my up times…I’m encouraging others who are also waiting. In my downtimes…the tears flow and all I feel is stress and anxiety. Thursday…was an up day…and Friday morning before work…I even wrote an article on faith. I approached the day in faith…eagerly awaiting an expected phone call. It didn’t take long for my faith…to crash and burn…with the rubble and fumes of disappointment filling my day. Being on the receiving end of no news…or unfulfilled assurances…makes it seem like I’m being put through hell. It doesn’t make any sense from my perspective. But I fully acknowledge that I don’t know the reason for the delay. What seems like someone being insensitive and uncaring to me…might not be that at all. It may be they are in the process of arranging for me to have a job. They may be overwhelmed with work related to the buyout. They may have a personal crisis in their life…keeping them from finishing this up. Or they could be on vacation. I don’t know…but do know…it feels like hell. Poor Dean was rewarded with a torrent of tears…when he inquired how I was doing. I kind of felt bad for him…and having to deal with me…but he just offered words of encouragement in soothing tones. 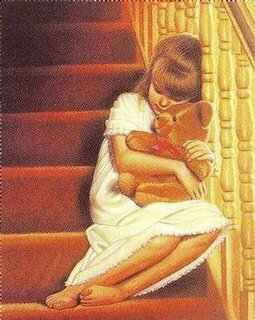 When Jim called on Friday night to see if there were any developments…it followed a day in which I dwelt on why I haven’t yet been called…and questioned when would my phone ring. I lost it during that call. In between the tears all I could say was that I felt like I had lost my hope. Jim tried to encourage me and remind me that I am a person of great faith…and the back bone of the department. I responded, “not anymore…some body else will have to have faith for now”. Peter C…was pretty faithful in keeping tabs on me this last week…and called to encourage me. He didn’t have the dead man walking fear of reaching out. Not too many others in our department did…except those still awaiting word. Julie…gave me a lovely card to encourage and build up my faith and spirit. Some folks in other departments asked if there was any news yet…to which I responded, “Not yet”. As circumstances would have it…my boss was out of town for the last couple of days. In some respects that may have been a good thing…in that I was able to be distracted from my worries with work…packing up boxes and throwing away the accumulation of stuff from over the years. In other respects…his absence made the silence…all the more deafening. 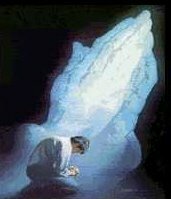 One thing that the delayed phone call and my boss’s absence did was to make me turn to God. 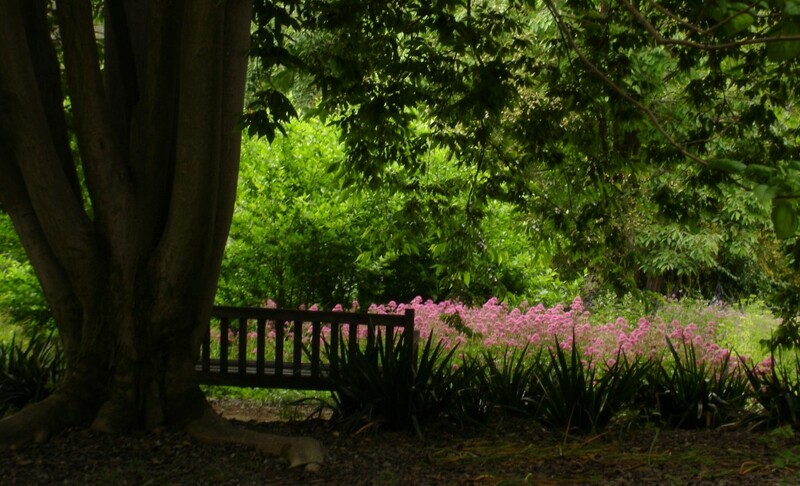 All week long…I felt as though God impressed upon me the words of Psalm 23. When my pain was too much to bear and my prayers were incoherent I would focus on the words of Psalm 23. Or I repeated other phrases to help me focus on God and remain hopeful and positive. Phrases like, “there is no panic in heaven…only plans”, or “if God brings you to it…he will bring you through it”. Sounds kind of corny doesn’t it? But when my faith is weak…I’m doing everything I can to cling to Jesus. Dear Ruth and the Kindred Prayer Team…continued to faithfully offer prayers on my behalf. I know that because today at church a number of prayer warriors…inquired about my job situation. Ruth always…has a word of encouragement and scripture to help build up one’s faith and help you keep your focus on God. I am most grateful and humbled at their care and faithfulness. My sister Denise…offered words of encouragement in sharing a story from her past about waiting on God’s timing. When what seemed like unanswered prayer was instead God working out the details to answer her prayer. Following my crash and burn week…in the faith department…I’ve spent this weekend…regenerating and focusing on God. Wishing that I could have the counsel of my former dear Pastor, Chuck Obremski…I did next best thing…and was to listen to his CD’s…to help me get my faith and trust in God back on track. Two CD’s I felt that God was directing me to listen to were on forgiveness (A Genuine Servant Forgives and A Genuine Servant Forgives & Forgets). While the people who have delayed contacting me may not have any ill intent…it hurt none the less. And hurts require forgiveness. In listening to these CD’s I was reminded that “Forgiveness is the oil of relationships…it reduces friction.” That I shouldn’t assess motives to someone. God’s forgiveness to me…helps make my forgiveness to others possible. Remaining in un-forgiveness is like being turned over to the torturers. Instead…I am to keep short accounts…and forgive. So it is with a humble heart…I go to Jesus and seek his help as I forgive offenses. It is to Jesus I turn…as I have an extra long thee day weekend…and have to continue waiting for news on my job. It is to God that I turn…knowing that he is able to do abundantly more than all I ask or imagine. It is in God that I have confidence…knowing that he is able to bring about that which seems impossible. That God who works in the heart of kings (and bosses and future employers) will bring about that which he has planned for my life. So is my faith and trust in God unshakable? Not even going to go down that road. I am a frail human being…but I know whom I will turn to if I stumble or fall. I will turn to Jesus. 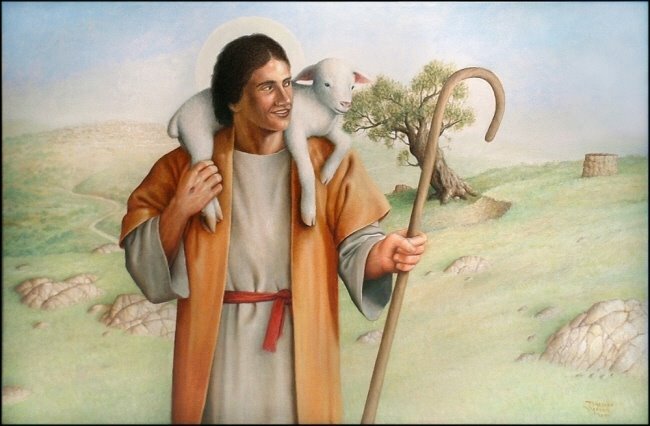 He is my Good Shepherd and like the shepherd carries the lamb upon his shoulders…Jesus will carry me when I am weak. It is to Jesus that I will give my praise as he works out the plans of my life…and helps me each step of the way. You’ll see someone carrying the burdens of many. Pleas to know what will happen as they face the unknown. He aims to treat everyone with respect. This time, the decisions are not his to make. Dark circles bear witness, as does the pain in his eyes. None will ever fully know his efforts on their behalf. As he carries the weight of his world on his shoulders. For you…I thank you for everything you’ve done. I am most grateful and humbled…even though it doesn’t always come through in what I say and do. Trying circumstances…most certainly try my faith. During this time of trial…there have been times when my faith has been revealed as pure gold. At other times a crumbling fool’s gold…much to my shame and dismay. Not to mention making my present circumstances seem much worse than they actually are. So here are a few lessons I’ve learned thus far in this time of my present affliction. My aim in writing this is that you would learn from my mistakes…and deepen and strengthen your faith. Just a few thoughts as I start my day…and I see if God will bring some answers to my uncertain future. Uncertain…this side of heaven. I’ve found that there are times that my perception of God and of his love, care and provision for me is based on how people treat me and by what my present circumstances are like. Nothing could make my faith shakier than doing this. When there is only silence and no answers coming my way…when there is a deadline…and a wall is drawing closer…I feel like God is silent. When God is silent…sometimes…I feel as though he doesn’t love me and doesn’t care. When everyone draws away…and the phone calls from friends…or an encouraging e-mail is not forthcoming…I feel alone and deserted. Deserted by God and my friends. Alone. The truth be told…some of these folks have what I call the “dead man walking effect”. They don’t know if I’ve been called and offered a job yet. They know they’ve been called…and they think that it would only make matters worse to call me. That it might be rubbing it in that I’ve not yet received that job offer. But instead on this end…it only hurts and makes me feel alone deserted and uncared for…by both God and man. And of course there are others…living their busy lives…doing their work…and my circumstances aren’t even on their radar screen. They have no ill intentions whatsoever. What I’ve found is that I perceive God and his love for me, somewhat and sometimes, based on how people treat me and by what’s happening in my present circumstances. Not a good thing to do…and not a good road to head down. My faith needs to be solely based on the Word of God and looking back over my life and the lives of others and see God’s hand and his faithfulness to me and others. Since I’ve been in these times of silence and uncertainty…it’s made it much easier for me to be understanding and a comfort to others also facing that uncertainty. So it’s easier to listen to them…and offer words of encouragement and faith. As I speak those words of faith to others, or demonstrate that I do care…my own faith is encouraged and bolstered. It helps build my own wobbly and at times shaky faith. There are times in which I decide I will focus on the outcome that I desire and know that God has the ability to bring forth to move and answer those prayers. I look at what seem like signs…signs that God has given hints of what he is doing or preparing me for. But I do so with fear and trepidation…because I believe there is a fine line between faith and presuming that God will answer my prayers in the way I prayed them. So I guess maybe the answer on this one…is to pray with confidence and know God is able. But to do so with humility and accept that which is God’s plan and will for my life. Remaining confident that no matter how God answers my prayers he is good and he is unchanging. The same yesterday, today and forever…and he still loves me…no matter what. Note…more to come on the lovely bracelet from Gloria Bass at www.vintageglo.com. God already knows what’s going to happen with my job. God is not worried or stressed. He’s not loosing any sleep…or wringing his hands. God is not snapping or barking at any angels that come into his presence because he’s preoccupied with my future. He’s not scratching his head muttering to himself “I wonder what’s going to happen” or “what if this happens or that happens”. Not at all! In fact…he’s resting peaceful and secure, knowing that everything is okay. Not only with me…but with my co-workers too. You see…God has a plan. He knows where exactly I’m at according to his plan. He knew I would be conceived by a woman who would not keep me and already knew the family that would adopt me. He knew the struggles I would have and wrestle with even into my 30’s. He knew that it would be many a year before I would accept Jesus as my Savior. He knew that while I heard the gospel message from Christians…it would be the loving witness of a family that would finally touch my heart. He knew I got a late start in that thing called faith…and I was like a babe young in my faith, but not in years. He knew that I would search for a church to call home. And I arrived home when I walked into Kindred’s Bible Study that fateful day in January 1999. He knew that I needed a regular filling of his word, undiluted or watered down. He knew I needed to grow in my faith…to handle that which only he saw coming down the pike. He knew that my mother would be widowed times two. He knew of that fateful day…when our country would loose 2,752 of our fellow American’s. He knew that my mother’s worst fear would be imagined as Alzheimer’s reared its ugly head. He knew the tears, profound sadness and loneliness I would struggle with at still being single. He knew that my brothers’ presence would be scarce when it came to decisions about and caring for my mom. He knew that I would pray for his hand of mercy for her to die peacefully in her sleep. And he knows exactly when he will call her home…according his plan, not my own. He knew that my faith would grow exponentially as I witnessed an unshakeable faith lived out before me. He knew that dependence upon him and him alone was what I needed. He knows what he’s preparing me for. He knows what will happen with my job. He knows when it will be revealed to me. He knows the work going on behind the scenes that I am oblivious to. Work by God himself…and humans…his chosen instruments. He knows my roller coaster of emotions. Up one day…and down the next. He knows that my faith is both weak and strong at the same time. He knows that for me to be truly caring and understanding for others that I would need to be in that place of uncertainty for a time. He knew that last week…when I felt desperately alone and in need of God’s love…I would pick up the phone this week and hear the painful words from a fellow pilgrim. He knew that when I answered “I understand”…it would genuine and not just words tossed out at the right time. He knew that I would have people and a place to turn to…not only with my prayer needs and requests…but also those of my co-workers. He knew that I would be able to testify to the faithful prayers from Kindred for those in need. So you see…it seems rather odd to have both faith and doubt sewed into one. Sometimes wobbly and sometimes strong. Sometimes both faith and doubt within a matter of minutes. Sometimes it feels as if the faith is my head…but it has not worked its way down into my heart. Yet…yet I know that God is at work. Kind of like the seed that has been planted…and is starting to take root…God is at work on my situation. I can’t see it from the surface just yet. But if I had the sight of God…I would see the tentacles of the roots starting to spread out and soon up from the ground up will sprout a new plant. I keep coming back to the roller coaster analogy…it’s an apt description of the emotional highs and lows of what I and others in our company are feeling at this time. But I can see that through this God is able to use the uncertainty and at times overwhelming emotions for good. If I wasn’t for me waiting for news about my job…like so many others…I would likely not have a tender heart toward those who are anxious and scared. Instead I might have an unsympathetic or calloused heart. But God has seen to it…that has not happened. Instead…he has me right where he needs me to soften my heart. And I pray to use me right where I’m at. I must say…that it must hurt God’s heart when I doubt him. Imagine if you have a good reputation…a good solid unshakeable character…proven over time. You promise that you will help someone…that they just need to trust you. After all you’ve never failed them. But they doubt you…doubt your word and your ability to accomplish that which you promised. How would you feel? Ouch! So Jesus…I’m sorry if at times my faith is weak. And I thank you that even when my faith fails me…that you are strong, that your will and plan…will be accomplished. Dare I be a Daniel…a person of Courage, not Compromise? Daniel 1:1-7 – 1 In the third year of the reign of Jehoiakim king of Judah, Nebuchadnezzar king of Babylon came to Jerusalem and besieged it. 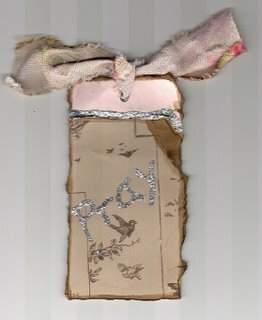 2 And the Lord delivered Jehoiakim king of Judah into his hand, along with some of the articles from the temple of God. These he carried off to the temple of his god in Babylonia [a] and put in the treasure house of his god. 3 Then the king ordered Ashpenaz, chief of his court officials, to bring in some of the Israelites from the royal family and the nobility- 4 young men without any physical defect, handsome, showing aptitude for every kind of learning, well informed, quick to understand, and qualified to serve in the king’s palace. He was to teach them the language and literature of the Babylonians. [b] 5 The king assigned them a daily amount of food and wine from the king’s table. They were to be trained for three years, and after that they were to enter the king’s service. God calls his people to be men and women of courage and excellence. Webster’s define courage as mental or moral strength to venture, persevere, and withstand danger, fear, or difficulty. Excellence is defined as exceptionally high quality; a quality that gives something special worth. In looking at the life of Daniel…and specifically zeroing in on Daniel 1:1-7…we see the opening story of Daniel and his friends Hananiah, Mishael and Azariah. These young men of excellence were captured by Nebuchadnezzar and taken off to Babylon. As we’ll see later in the book of Daniel…these young boys remained steadfast in their faith and uncompromising…even when faced with the threat of a fiery end. Their faith did not fail them…they did not waver…they did not compromise. How is that…how did they do that? These were young boys…estimated to be between 13 to 17 years old. They were separated from their families and taken to a foreign land. The temptation to compromise must have been something fierce. Yet…they remained steadfast and unyielding in their commitment to God. To the one true living God…the Lord God Almighty. They were in a land of idol worship and false gods. Wouldn’t it have made their life easier and more secure to just go with the flow…and not buck the system? That way they wouldn’t risk offending anyone. But that is not the path Daniel, Hananiah, Mishael and Azariah chose. They were tempted to be prideful and think highly of themselves…to think that they were better than others. After all the king chose the best of the best, the cream of the crop…and they were among the chosen. They were going to get the best education and be fed the best food…that which the king ate. And yet…they didn’t allow themselves to go down that path. Why? Could it be that when they were young…their parents rooted and grounded them in their faith…faith in the one true and living God, Jehovah…God of Israel? Could it be that they were so firmly planted that even being uprooted and sent to a foreign land could not shake their faith? Could it be that their eyes and ears and hearts were so focused upon God that when tempted with pride, or self accomplishment, or when temped to look to men for help, praise and recognition they chose to focus solely on God? If we look at their names…we can see the seed of courageous faith being planted early on by their parents. Their parents must have shared their faith…and witnessed to these boys about the faithfulness of God in their own life. Regularly from an early age taught them the word of God. So much so that it became second nature. That when faced with temptation or the lies of a false god…the truth was apparent and the temptation to choose anything other than that which was pleasing to God was not even an option. Faith so strong that it would bear up being separated from their families, in a foreign land. Faith…in Jehovah God…their Lord…that they were not tempted to rely on their own good looks, intellect, talent and abilities…that instead they trusted God. Faith so courageous that when facing a threat of death…they did not back down. I’m afraid that we Christians today stumble, fall and waver under much less dire circumstances. So what can we do to insure that our faith continues to grow? That our faith will be strengthened in the Lord our God? So that in our time of testing…we will not fail…but instead remain strong and courageous. How can we do that? First and foremost…by having a saving faith in Jesus Christ for the forgiveness of our sins. Second…knowing the Word of God. Regular study in God’s word. When you know the truth of God’s word…the lies coming at you from all directions will be evident. It becomes easier to reject that which is a known lie…when we have the truth. Hand in hand with these two…is having a relationship with God…that includes daily communication with God through prayer. When you have a relationship with someone…you communicate with them regularly. When communication dwindles down to nothing…that’s not a healthy relationship. God loves us and desires that we come to him and share ourselves and our lives. Just like a parent loves their child and wants to know what’s happening and what’s going on with them…so too God desires to know us in this same way. Yes…God is all knowing. He knows what’s happening in our lives…whether we tell him or not. But our telling him…our revealing ourselves and our lives to God is a way to open up. It’s a pathway to relationship…one in which there is trust expressed and given to the One whom deserves our trust. So how will you continue each day to grow your faith? How will you work to ensure that when you are faced with a fiery trial that you too will be a man or woman or courage? A person who is pleasing to God…and brings glory and honor to His name? Will you choose courage over compromise…and what path will you take to get there? Heavenly Father…I lift up my brothers and sisters in Christ to you. I ask that each one of us will examine ourselves before you and see where we need to make different choices and draw close to you. Father, give us the courage to act on that which the Holy Spirit reveals. In your Son’s Holy name, Jesus Christ, we pray. Too many have grown content with mediocrity. Too few refuse to let the majority set their standard, or the person who aims high, or the person whose stands firm on his or her convictions. We hear words like: “just go with the flow”, “don’t make waves”, “who cares”, or “what difference does it make anyway?”. It’s easy in the days of political correctness to compromise. Illustration of the Jewish boy who when asked who was the greatest person ever born responded that it was Jesus. When the teacher asked why he said it…he responded that personally he thought that Moses was the greatest…but he said Jesus was…because “business is business”. God’s people may find themselves going with the flow…not making waves or justifying their willingness to compromise. What is lacking in the culture today? Courage! Courage is that strong muscle of character. It gives a nation pride, it gives a home it’s purpose, it gives a person the will to excel. Courage in the face of difficult circumstances. Not waver from that which is right. Stand firm on their convictions. Do you have a price? Daniel stood tall in the midst of a hostile environment. A real life hero, a bona fide role model…he couldn’t be bought. This man’s life is an example on how we should be in an environment that is hostile towards God. Ezekiel 14 – Daniel was a contemporary of Daniel Vs. 12 -14 talked about him as a man of greatness. Likens Daniel to Noah and Job. What made them different? They were committed to obeying the word of God. Obeying and applying it in their life. Noah was told by God what to do in the midst of a crooked and perverse generation. He continued to obey God and did what God said. Job in the midst of his circumstances, when he lost everything, he did what was right before God and did not sin. God knew that he would obey and recognized him as a great man of God. It’s hard to recognize greatness in our generation. We need to aim a little higher, don’t just settle. Can one person make a difference in the world today? Absolutely! We must keep our eyes and ears focused on God and his word and apply it in our life, as we learn it and put it in our heart. We need an infusion of courage in our culture today and in the people of God. We’ll look at the circumstances that brought Daniel from Jerusalem to Babylon. Conviction of Daniel and his friends as they were pressured in the environment they found themselves in. Comparison of Daniel and his friend to the rest of the culture around them. 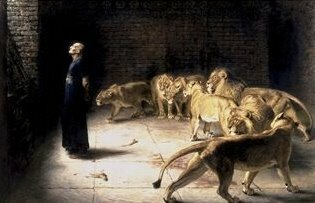 Circumstances that brought Daniel to Babylon. Jerusalem was invaded by Nebuchadnezzar. He had heard about Jerusalem’s great wealth because Hezekiah had opened up the city’s treasure to show it’s great wealth. Jerusalem was ready for the picking. But God is in control of all things. Some of us are so afraid to take any steps where we can be identified with God and the people of God and his principals. We are running scared all the time. Why? God is in control. God gave Jehoiakim into the hands of Nebuchadnezzar. He was able to have success in the battle because God allowed it to happen. Nothing can happen to you and me unless God allows it for his purpose and for his glory. Nebuchadnezzar orders Ashpenaz, one of his officials to bring in the son’s of Israel. Nebuchadnezzar allowed Jehoiakim to remain in Israel…under the control of Egypt. But just in case he took the top people who surrounded him. Children, sons, chosen people…and took them back to Babylon. That way he could use them as leverage against Jehoiakim if he got any stupid ideas. He got him where he wanted him. Nebuchadnezzar took the young people to change they way they thought about life. Young men between the ages of 13 to 17. He executed the older people, those who were set in their ways. It is estimated that Daniel and his friends were between 13 and 17 years of age. Qualifications of what they were looking for? Young men in which there was no defect…outward perfection. Good looking…“a looker”. Showed intelligence in every branch of wisdom. Endowed with understanding and discerning knowledge and who had ability for serving in the king’s court. He would teach them literature and the language of the Chaldean court. These guys were not mediocre…they excelled in everything that they did. Principle…God’s people should be the best at whatever it is that they do. Not for man…not to get promoted…or to make money…or get noticed by people. Why do it for God…because it’s pleasing to God. God demands our best. He gave his best when he gave us Jesus on the cross. We should be the best at what we do. Instead all to often we become cynical because we have to do our best and no one notices. But God notices. Daniel and his friends took care of themselves. They took care of themselves, they looked good, were knowledgeable, educated and had high IQ’s. Why should a Christian be anything less than the best than the culture has to offer. The best student, the best teacher, worker, employee, husband, fathers, mothers, wives and neighbors. Stop settling for being less than the best because no one around you notices. God notices. Nebuchadnezzar and his officials recognized talent and excellence. It stood our heads and shoulders above everyone else. Because of that God was able to put them in an environment where they could be used by God to accomplish great things for the kingdom of God. Some of us don’t get past go because we don’t give it our best. Therefore we are limited in our ministry to God and the kingdom of God. Limited to be used by God to make a difference in our culture. Do people see you are the best that you could be? Do you give it 100%…whether people recognize it or not? Do your best and excel in everything that you do…so that you honor God and bring glory to God. Nebuchadnezzar wanted to brain wash these boys. To take the men of excellence, change them and make them like us, so that when they were through, no one would know the difference. Happens with our minds. Teach them the language of the Chaldeans. Mentally they had to change. They could not continue to think they way they use to think. Teach them the language and literature of the Chaldeans. They had been trained and raised Jewish. Now they were told they needed to change the way they think. They god of secular education deceives God’s people into believing the current lies of the day. Only a good Biblical understanding can set us free from that. David T. Moore wrote about the Lies of the Culture. 1) America is not a Christian nation. 2) Traditional faith is irrelevant. 3) Evolution is an established scientific fact. God’s truth always has been and always will be under attack. Nebuchadnezzar’s goal was to infiltrate their minds with Chaldean literature. Instead we are to fill our minds with the word of God. Be ware, be careful of the deceit of the world today. It tries to fill our mind with garbage. With anything that is not in line with the word of God. God has chosen the foolish things of this world to confound the wise. What isn’t foolish to the world? Work your way to haven. Earn your way into the presence of God. Nebuchadnezzar tried to change them mentally. Tied to get them to think broader in their views towards life. We must remember that we don’t need them to have God provide for us. We need God. He can open any door he chooses. Open the door to those of use who are faithful and give us opportunities that we never thought were possible. Nebuchadnezzar wanted to change them socially. Give them the best the king had to offer. The best way to get someone on your side is to cut them into the action. Compromise…but you will gain. They want you to think you are better than everyone else. We find ourselves in the greatest spiritual danger when we are in time of prosperity. When things are going well. God warns us. Don’t forget I’m the one who blessed you. The day you forget that is the day you will be judged by me. The danger in brainwashing was in giving these young men a sense of superiority over everyone else. We want to be liked by others. Dress like them, talk like them, think like them, act like them, party with them, conduct ourselves in business like them, try to pattern our character and programs like them. But God’s word tells us do not love the world and the things of this world. If we are going to be courageous we must take a stand on what is right. Isn’t it about that? You take a courageous stand in an environment in which God has placed you. You can make a difference. Brainwashing also had to be done with their religious beliefs. Daniel, Hananiah, Mishael and Azariah were assigned new names. A fresh start…a new start. Forget about where you came from, them past…education and friends. You’ve got a new life now. Daniel’s name means “God is judge”. Here we find the doctrine of the judgment of God. God judged Jesus Christ on the cross on our behalf for our sins. Jesus Christ will then judge all humanity. We will all one day appear before the judgment thrown of Christ…all will. Daniel’s name was changed to Belteshazzar…the greatest name of the pantheon of god in their culture. AS if he came from the hand of their god. The name means “may Bail protect his life”. He went from God is Judge to may Bail protect his life. Instead of the Lord’s protection…and his accountability to God…they wanted him to appeal their pagan god to protect his life. They were saying play ball our way or you may loose your life. Your life hangs in the balance depending on how you conduct yourself right now. Don’t worry about your God, but worry about us judging you. We are so afraid of the judgment of men that we forget we answer to the judgment of God. Instead we should be concerned about the judgment we will experience before God. No one else will be there. I will be one on one with God and give an account for what I did after coming to a believing faith in Christ. Instead we need to say, “You don’t scare me…I know who made you”. Hananiah’s name means the Lord is gracious…emphasizing the graciousness of God. His name was changed to Shadrach. Shadrach means “Illumined by the son god”. Hananiah emphasized the work of Jesus Christ. His parents knew that everything that they had was because of the gracious hand of God. People worship the sun…instead of the Son of God. They wanted him to look as someone else other than God as the source of his good looks. What do you have that God has not given you? Mishael means who or what is like the Lord. His name was changed to Meshach which means who or what is like Ishtar or Venus. They wanted him to feel good about himself…to only please himself. Azariah’s name means the Lord is my help. His parent’s message by giving that name was that the Lord will be the one you turn to when we are no longer around. His name was changed to Abednego…meaning the servant or slave of Nego. Nego was the god of wisdom and education. The message being don’t trust in God, trust your education and philosophy. How will you handle these temptations? Given a top education…a full ride….he was cream of the crop. Tempted? Owed someone or something? If you would like to obtain the CD album of the book Daniel…a man of Courage, not Compromise, please log on to website for Kindred Community Church. Contact these faithful servants of God so you too can study God’s word in the book of Daniel. Lord bless! How will Daniel, Shadrach, Meshach and Abednego respond? God used these boys…these boys of excellence. He put them in a place where they would have the opportunity to become witnesses to God and the work he was doing in their life. When we work for man and seek man’s praise we will be disappointed…if our work is not recognized. Instead we need to work unto the Lord. God is our judge. We need to seek only God’s praise and his rewards…God is gracious. Man’s praise and reward can not compare to God. Who or what is like the Lord. When faced with a difficult circumstances…in trying situations…we need to look to the Lord. Not man…not earthly rewards…but God. That may mean that we may not receive our rewards this side of heaven. The Lord will provide the strength and help to do that which he has called us to do. The Lord will provide what we need and in the right time. He cares for us. Will you choose to be a man or woman or excellence? Will you allow God to put in you in a place he has called you to? Will you look to the Lord for your reward, recognition and wisdom? Will you look to the Lord…and he alone to provide? Will you work for the purpose and glory of God? To bring praise and honor to His name?